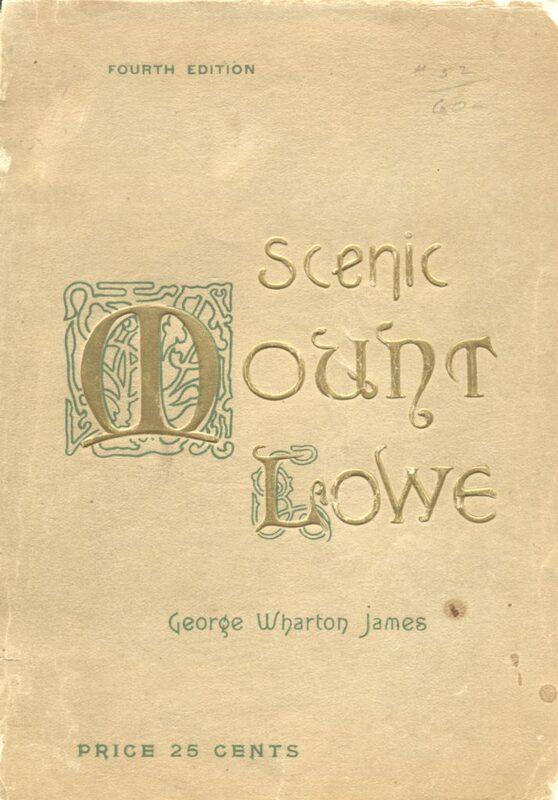 Publicist extraordinaire, photographer, author and master of the flowery phrase, George Wharton James spread the word about Mount Lowe far and wide. 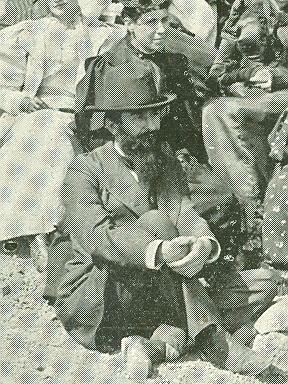 Born in England where he was ordained as a Methodist minister, he served in parishes in Nevada and Southern California, but a scandalous divorce and an ecclesiastical trial for fraud and other misconduct put an end to his religious career. 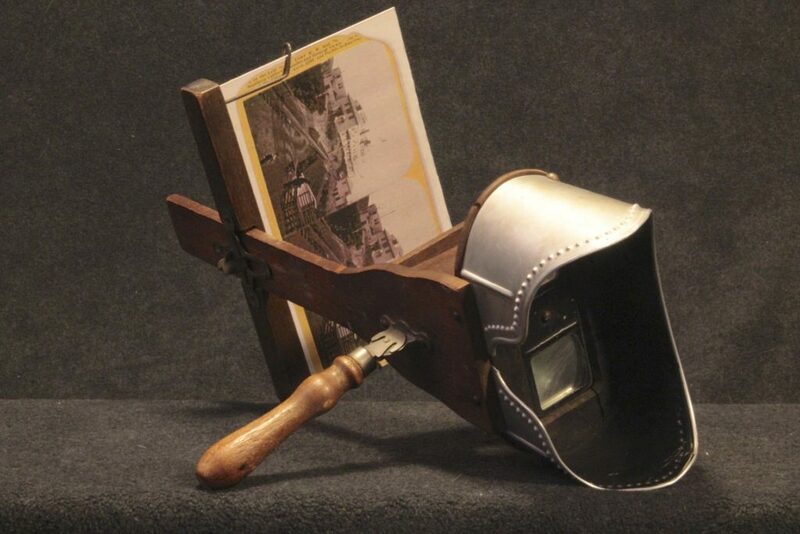 He went on to make his reputation as a regional historian, lecturing and writing many books and articles on Southern California and the American Southwest. As Professor Lowe’s publicist, he helped bring thousands to ride the Mount Lowe Railway to the White City and beyond. He was the first editor of the Mount Lowe Echo, and the author of Scenic Mount Lowe and its Wonderful Railway, still viewable online. 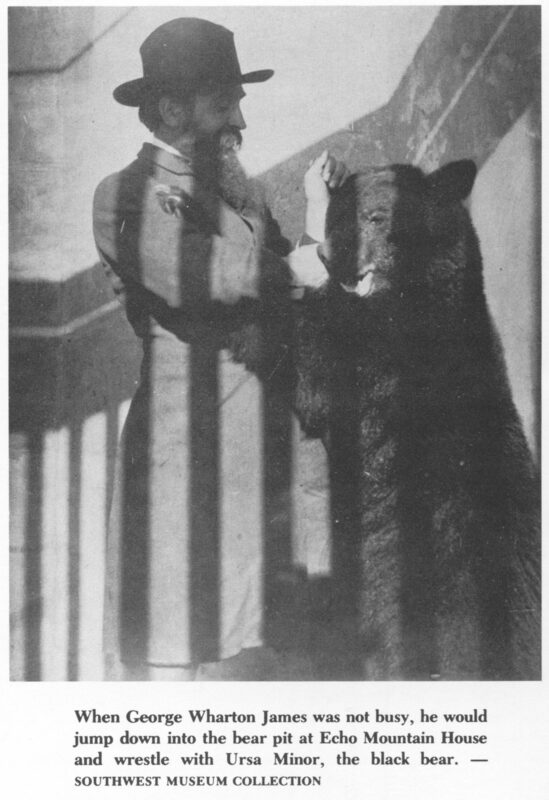 He was also instrumental in developing activities on Mount Echo, giving stereopticon lectures at the observatory and even wrestling with Ursa the Bear at the menagerie.